A summer you’ll never forget on the Blue Crew! Serving others, building lifelong relationships, and growing in your faith. That’s just the beginning of a summer spent with Group’s Lifetree Adventures®. Watch lives transform as youth groups from all over the country unite in making a true difference for communities in need. 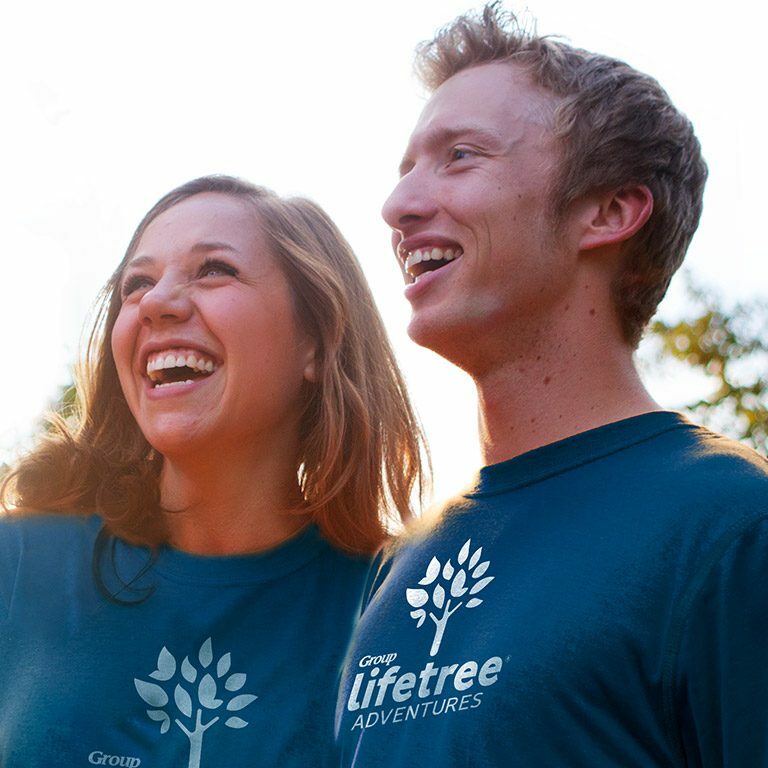 Lifetree Adventures is looking for responsible staff to provide a fun, safe, and organized mission-trip experience and fulfill Group’s mission at various locations across the United States. As part of the “Blue Crew,” you serve the youth and adults attending the mission trip, as well as partner with local facilities, residents, and community agencies to ensure an experience that makes a positive impact. The Lifetree Adventures Blue Crew provides phenomenal customer service and creative problem-solving, strong organization and planning, while demonstrating flexibility and being a spiritual influence for others. Staff are energetic individuals with a desire to serve others in daily details. They don’t mind experiencing a different lifestyle for the summer (for example, sleeping on an air mattress, living in community, and eating camp food), and look forward to traveling the country and embracing the diversity of each location. Travel expenses and lodging are provided, as well as food during camp week. Each Lifetree Adventures location has a team of staff. The positions available include Logistics Leader & Service Leader. Have you run media for your church? worked in the cafeteria? Do you enjoy the details? You might make an excellent Logistics Leader! This person coordinates the facility (food service, custodial, and hospitality) and office logistics. They run daily program time using technology and various media and audiovisual equipment. Have you built a wheelchair ramp or deck? Do you closely follow project deadlines? enjoy making a budget? You might be a Service Leader! This person organizes the service sites for participants and assigns each participant to a crew, provides building and construction knowledge, and manages project completion. Apply today to join the Blue Crew! Fill out the application, and later we’ll discuss which position best suits your unique skills and abilities!